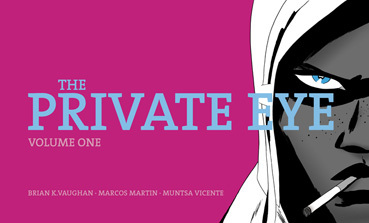 10 issue limited series by Brian K. Vaughan, Marcos Martin and Muntsa Vicente. 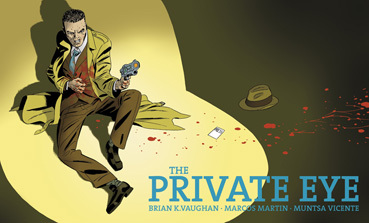 Years after the digital cloud "bursts" and exposes all of our most confidential hopes and fears, THE PRIVATE EYE is set in the inevitable future where everyone will have a secret identity. 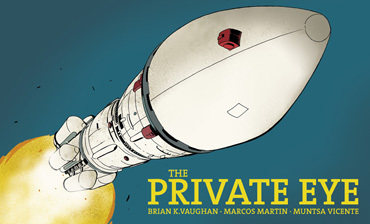 Following an unlicensed P.I as he's thrust into the most important case of his life, this sci-fi mystery explores the nature of privacy with frightening prescience. 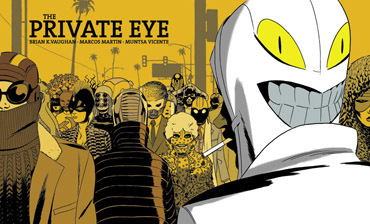 2015 Eisner Award for Best Digital/Web Comic. 2015 Harvey Award for Best Online Comics Work. 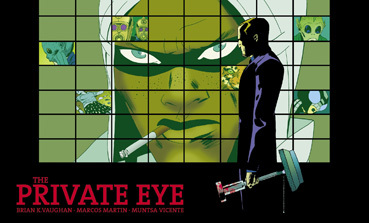 Including issues 6 to 10 of The Private Eye series plus material from The Making Of special. 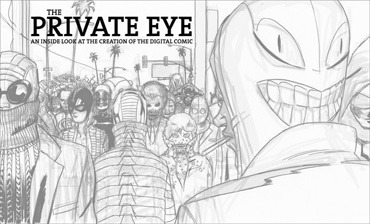 Immediate download of 150-page comic in your choice of PDF, CBR or CBZ. No DRM, no encryption, just plain files optimised for on-screen reading. Available in English, Spanish, Catalan & Portuguese. 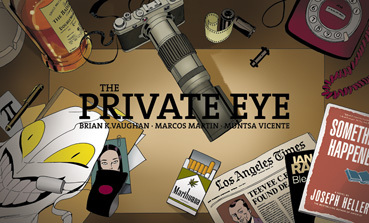 Including issues 1 to 5 of The Private Eye series plus material from The Making Of special. 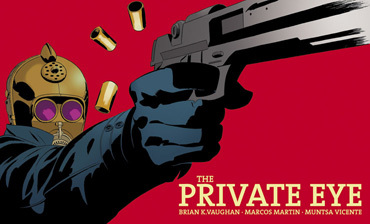 Immediate download of 151-page comic in your choice of PDF, CBR or CBZ. 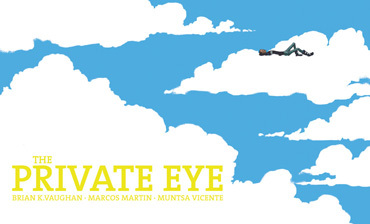 Immediate download of 34-page comic in your choice of PDF, CBR or CBZ. Immediate download of 28-page comic in your choice of PDF, CBR or CBZ. All you (n)ever wanted to know about the world's most acclaimed digital series! 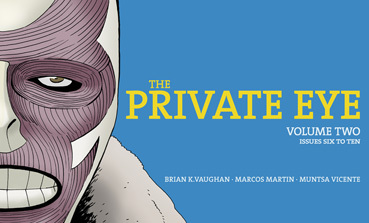 This 85 page issue extravaganza includes all-new, behind-the-scenes material, from BKV's original pitch for the series to Marcos' character designs. 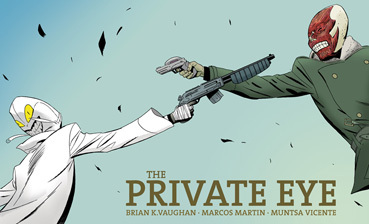 Plus, take a peek at the creators' private email exchange in our very own BKVleaks! Immediate download of 85-page comic in your choice of PDF, CBR or CBZ. 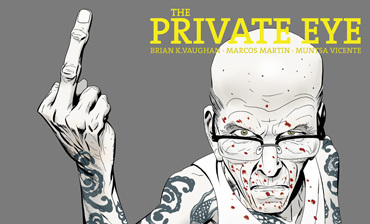 Immediate download of 32-page comic in your choice of PDF, CBR or CBZ. 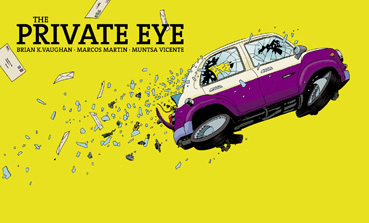 "The Private Eye" and all related characters are © BKV and Marcos Martín.